— especially those in big cities, with long commutes. And so, they may end up skipping their morning run or after-work gym session more often than not. A gym boutique gym in London, called 1Rebel, is trying to offer busy commuters a new sort of exercise option: they have transformed a fleet of buses into high intensity spin studios on wheels, to allow people to workout on the go. 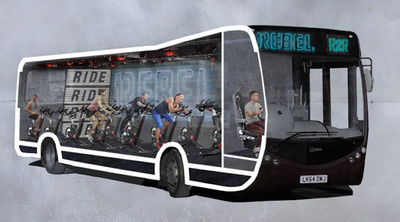 The Ride2Rebel bus was inspired by the gym’s most popular class, a spin program called RIDE. 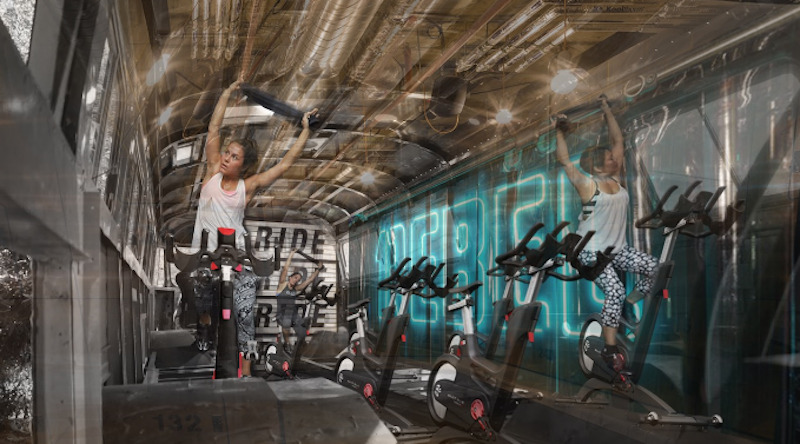 The buses will travel stop at four pick-up points across London, ending up at the gym’s studio so exercisers can grab a shower before work. 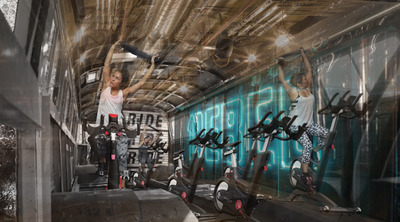 “It is an absolute no brainer for us that we can create more efficiency in people’s routines by transforming their commute,” 1Rebel founder James Balfourtold the Evening Standard.